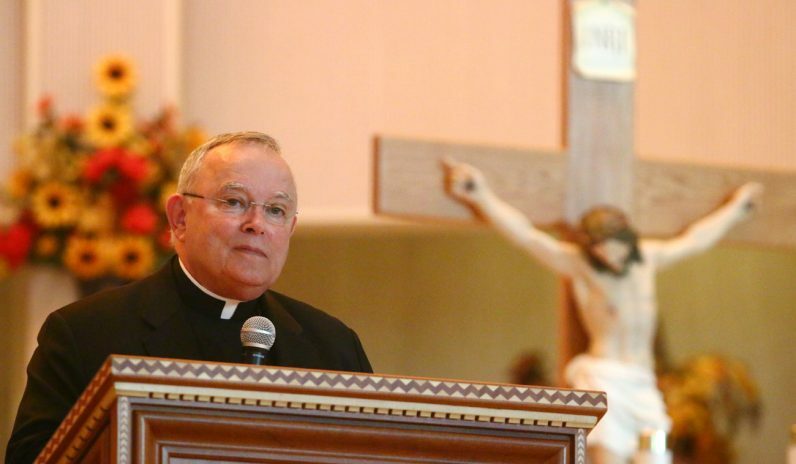 Archbishop Charles Chaput welcomes and encourages the attendees of the Women In the New Evangelization (WINE) conference. 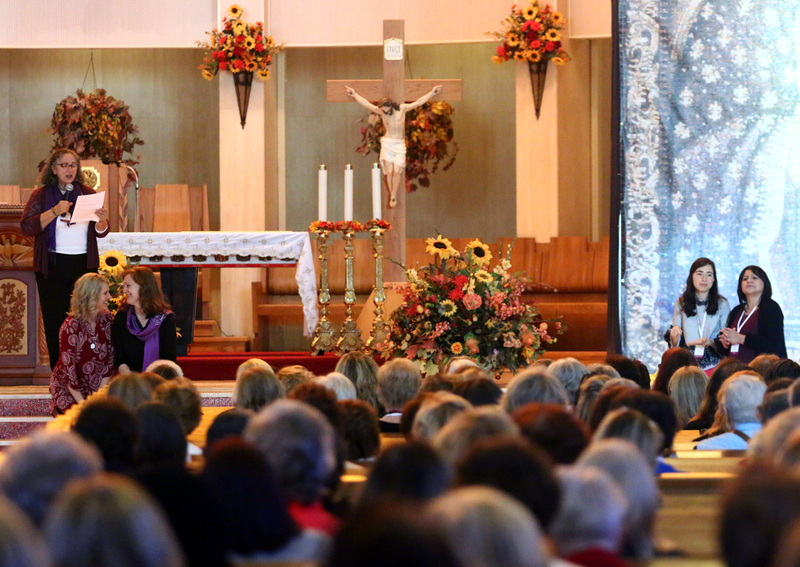 Emcee Alyssa Bormes leads the day-long gathering. 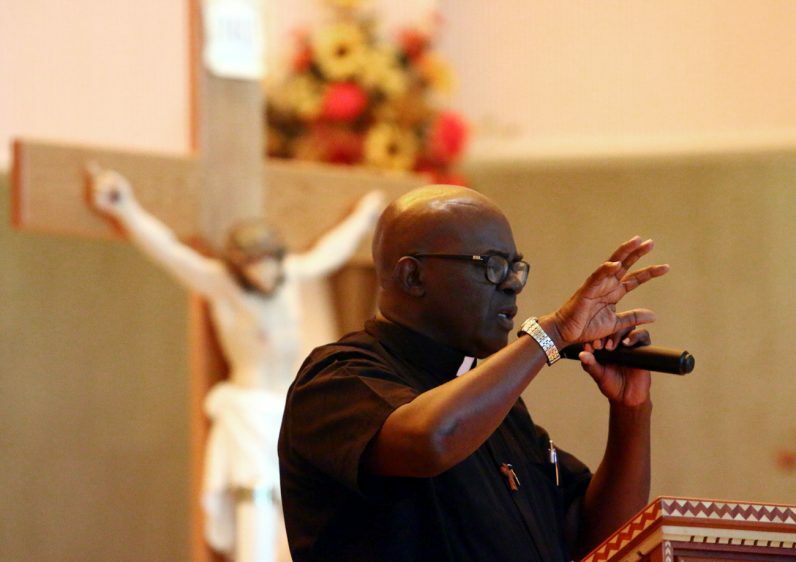 Father Ubold Rugirangoga offers a prayer for the WINE conference. 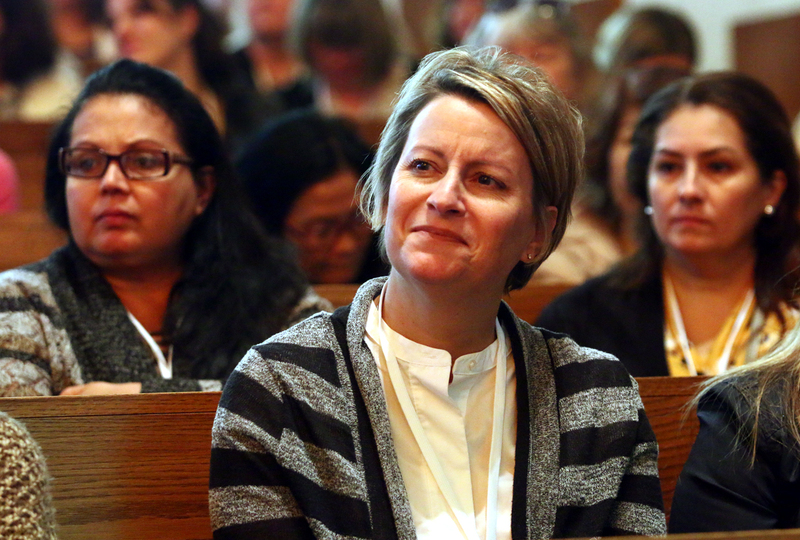 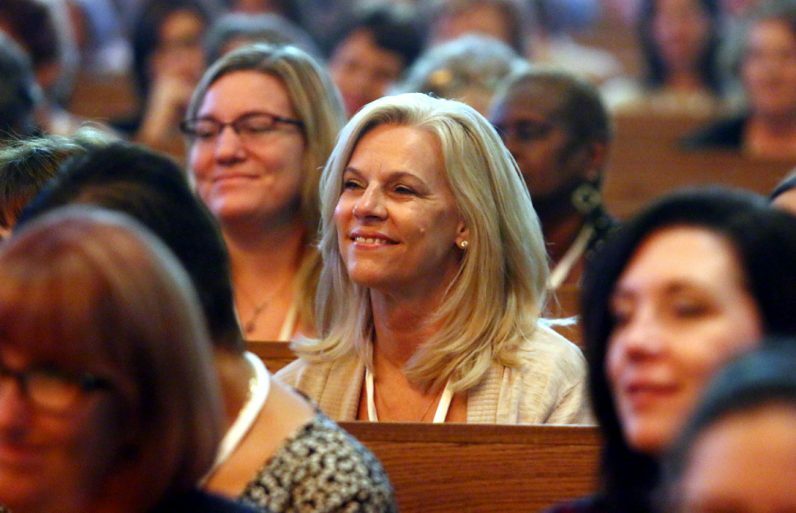 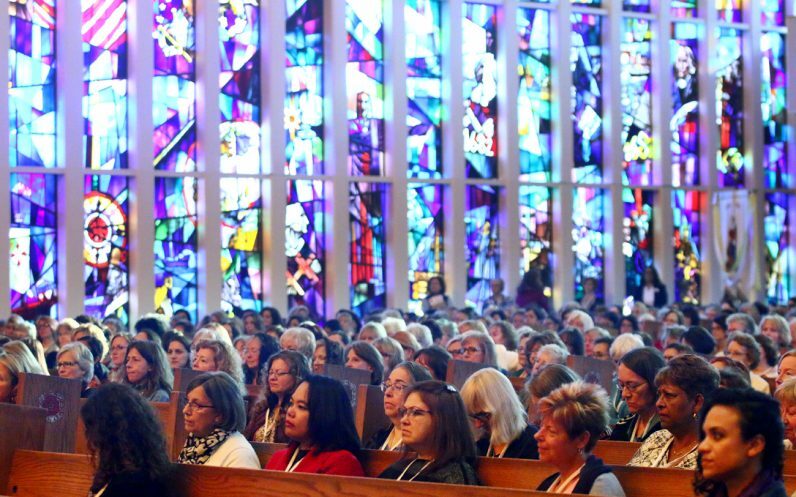 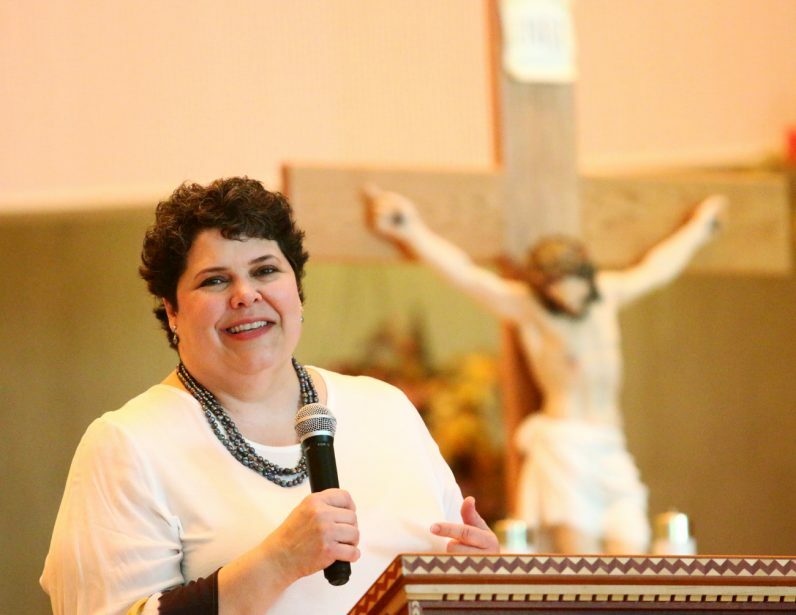 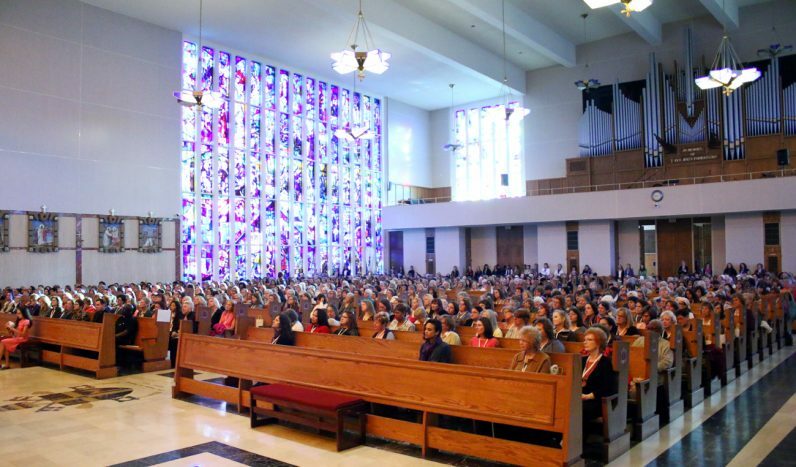 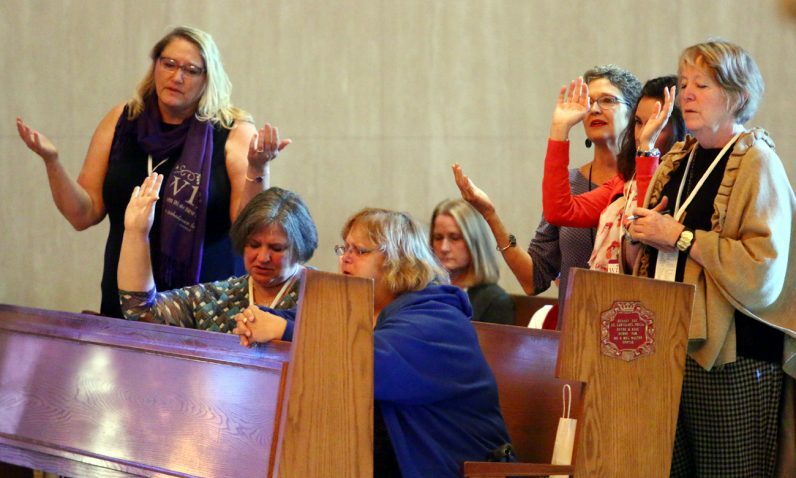 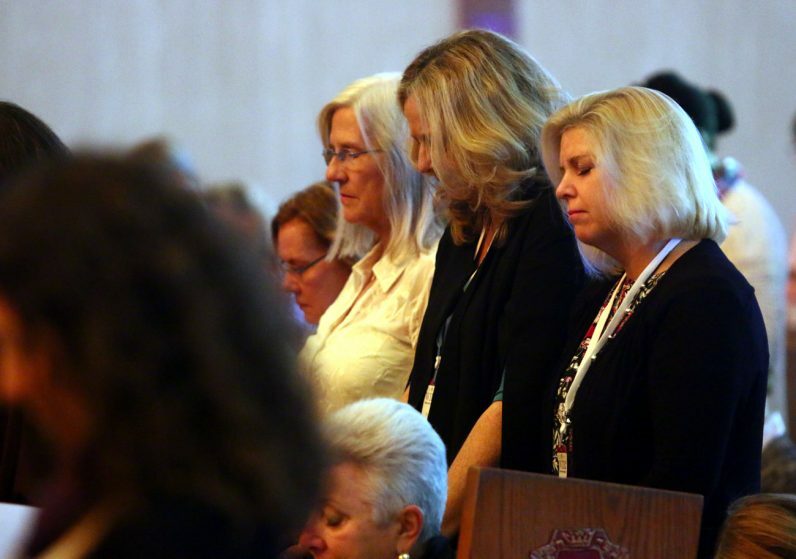 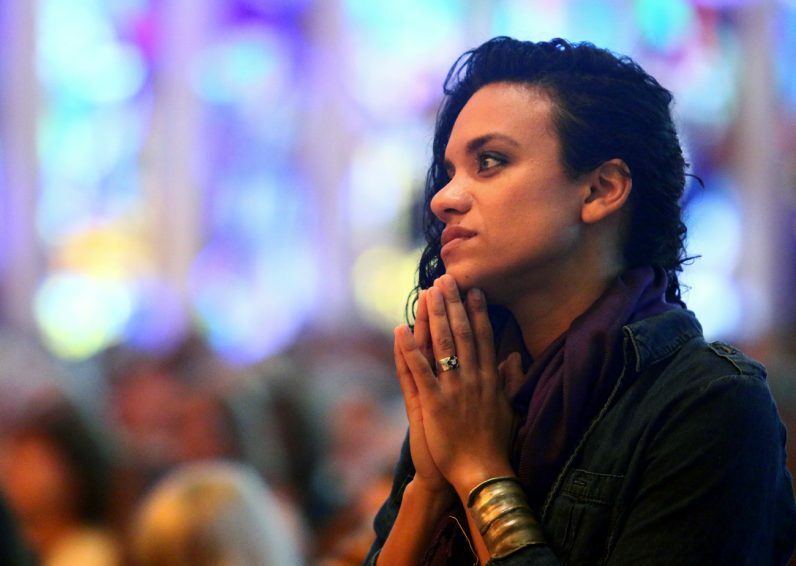 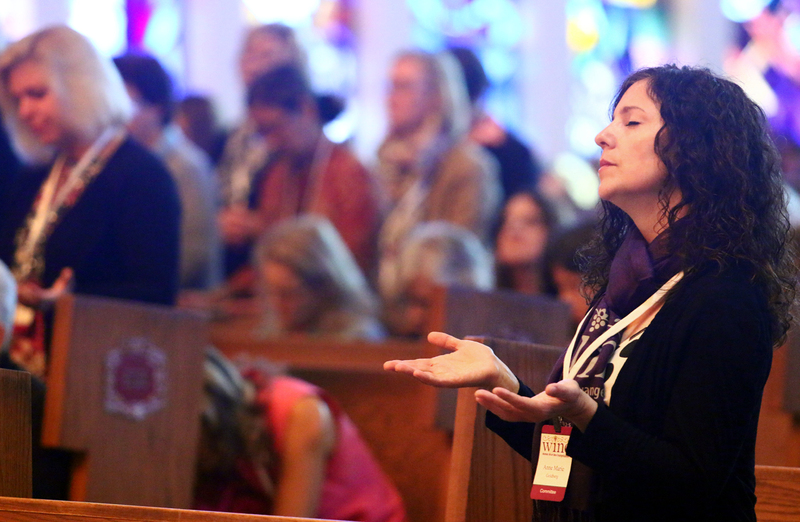 In this file photo, Anne Marie Goldberg prays during the WINE National Catholic Women’s Conference at the Shrine of Our Lady of Czestochowa in Doylestown. The Stomped Grape Players start the day off with a skit to welcome the ladies to the conference. 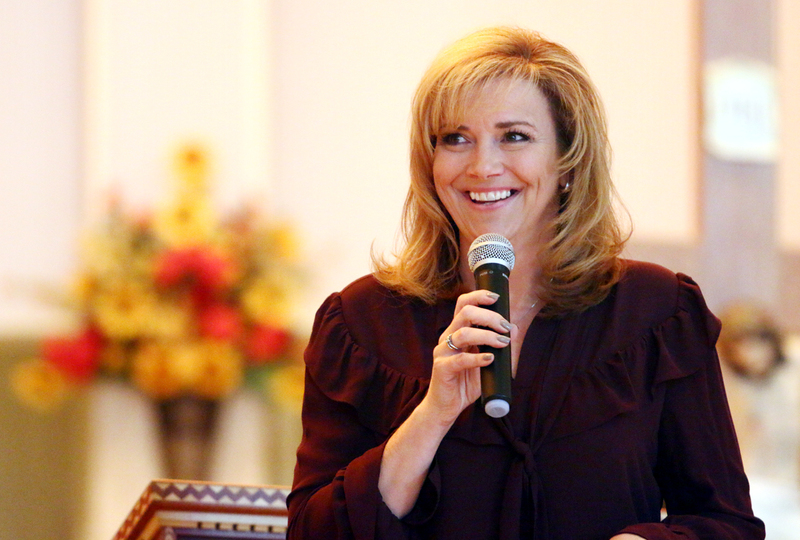 Kelly Wahlquist, founder and president of WINE, speaks to the conference participants.